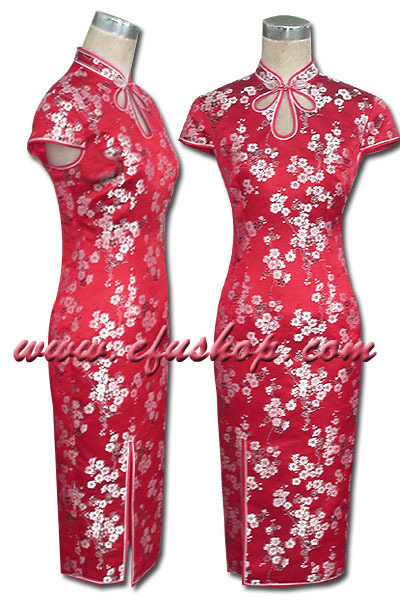 Description: Red background with white plum blossom silk tapestry satin. mandarin collar with three opening on the front, leaf button at the neck. A cap sleeves, knee length with front short slit.